Everyone wants to produce a successful video that will gain a large number of views. However, not everyone achieves this goal. Why? Because it is necessary to pay great attention to the organization of video production. Here are some video production tips for beginners that will help you avoid many troubles and set your video up for success. Planning is one of the most important pre-production steps. You need to plan absolutely everything: shooting and editing dates, the organization of the set, the breaks between shooting, etc. Of course, it may not be always possible to follow the plan exactly, but its presence will help you navigate the workflow, minimize errors and save time. The success of your video production process directly depends on setting priorities. It is necessary to decide what is most significant to you in creating your video. Do you mainly want to get super high-quality video, or to hit the target audience? When developing the working process for a video, determine what your priority is, the process or the result. Addressing these questions will guide you and prevent problems. Do you want your video to become an object of “expectation and reality comparisons”? We hope not! To avoid this, be sure to set your expectations during the pre-production process. What do you want to achieve through your video? In order to assure that your expectations are in line with your reality, you need to ensure good communication. The message of your video should include simple and understandable content for your target audience. Take time for your movie. Video production is a process that requires the involvement of a large number of people and resources. But time is often the primary resource in determining the final result. By taking enough time, the end result will be a successful video. Impulsive and inappropriate costs not only reduce your overall budget, but they also can adversely affect the quality of video production. Do not forget that the video should be simple and clear. Additional costs only complicate the general message and take away from the simplicity of the video. Bad weather, poor lighting and background noise are just a few of the things that can interrupt or negatively affect your video process. Unfortunately, these things are not always under your control. But you can be prepared for unforeseen circumstances. By maintaining a flexible attitude, you can take these problems and turn them around by seeking creative, or unconventional solutions. Having regular time slotted for project updates will allow you to improve production efficiency and avoid additional financial costs. Errors in the storyboard, reshoots, the need for hiring additional staff - these are some of the many consequences that can be avoided by scheduling regular production meetings. What are some common mistakes made during a video production, and how can they be avoided? No call to action is the most common mistake. Your video should motivate a person to do something after watching. The solution is simple – just add a call to action at the end of your video. The second mistake is the absence of a promotion plan. At the start of production, you must create a promotion strategy, paying attention to issues such as web page optimizing, the development of email campaigns, etc. The third mistake lies in having uninteresting video script. It should be concise and impressive. Try to grab the audience’s attention in the first seconds of the video and avoid empty words. And the last common mistake is the mismatch of the video with its target audience. If your potential customers are millennials, it’s best to gear the video around topics and trends involving them. What content do they like to watch? What advice can you offer to ensure a video production runs smoothly? What are some great tips for staying within your video production budget? Control your costs and spend your budget only after you have verified the feasibility of your video. Each cent should be spent on what is necessary for a successful video production. 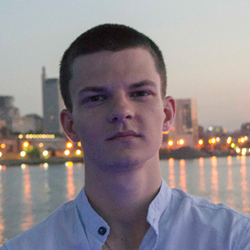 Vyacheslav Khmelkov is a content crafter, writer, and entrepreneur. As Valoso contributor, he authors in-depth articles about video production, marketing, and e-commerce. His hobbies are mountain trekking, airsoft, and coffee roasting. When Vyacheslav is not doing all those, he loves to read and try new things. You can find him on LinkedIn.